Information Technology – Santa Barbara Applied Research, Inc.
We perform requirements definition, system design and multi-platform development, implementation, deployment, training, verification, validation, and testing. Software and systems supported include mission software for NASA’s unmanned programs at JPL to tactical weapons software for the Air Force and Navy. SBAR provides on-going network engineering, design, installation and administration of major communications systems for the Navy, Air Force and NASA/JPL. Help Desk and End User support includes Operations and Maintenance and inventory management of computer resources, classroom training on PC programs/products, and security. SBAR’s Development Programmers are responsible for implementing, and delivering key components of the Product Data Management System (PDMS) system. SBAR provides Software Quality Assurance support to flight, instrument, and/or ground data systems for Space Interferometry Mission (SIM), the Mars Science Laboratory (MSL), and other assigned projects. We perform software quality assurance product and process evaluations, conduct risk assessments, and provide insight/oversight monitoring of contractors’ developing software for JPL. We provide analysis, recommendations and report on the status of the software development tasks to the project office. When appropriate we recommend problem & risk mitigation solutions to the project office. SBAR software engineers assist in the research of new software technology and tools that may benefit JPL projects and NASA. 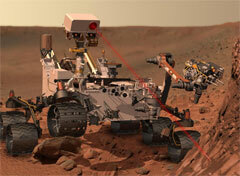 SBAR provides IT Security Engineering for many of the projects at JPL. We conduct analysis of requirements documentation and evaluate the documents for cost, risk and impact. We assist in the development of IT Security Requirements (ITSR) that conforms to NASA requirements. We perform software system engineering to: propose and design processes and software system changes necessary to incorporate the new IT security requirements. We have extensive experience in development of Computer-based training courseware including Part Task Trainers for the F-14, F-16 and F-18 aircraft. 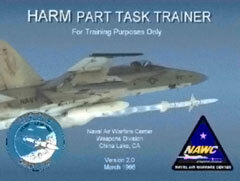 We developed a series of Part Task Trainers used by the Navy, U. S. Marines and certain Foreign Military Air Forces for aircrew training. The PTT are designed for operation on PC based computers and provide the following feature three operating modes that can be configured to weapon to, weapon station and avionics software selections. The active cockpit displays provide fully functional aircraft control.